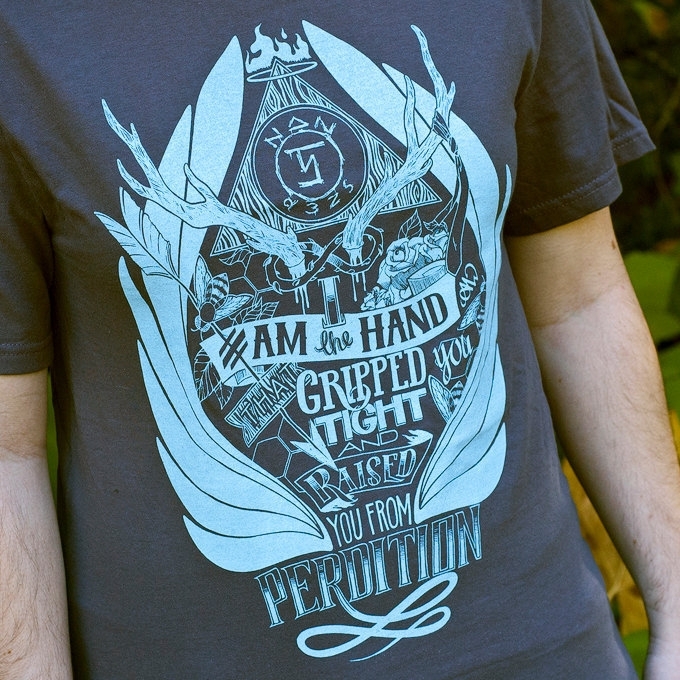 Say 'Hello Boys,' to this new design inspired by the one and only King of Hell! Crowley's design features all of his favorites; class, contracts, and of course Fluffy. Printed with bone white and blood red ink, classic evil never looked so good!